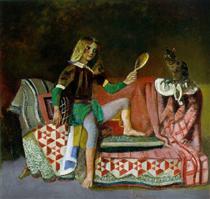 Balthasar Klossowski de Rola (February 29, 1908 – February 18, 2001), known as Balthus, was a Polish-French modern artist. 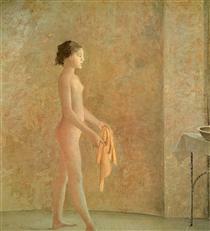 He is known for his erotically charged images of pubescent girls, but also for the refined, dreamlike quality of his imagery. 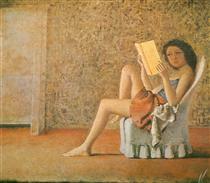 Balthus was born in Paris, in 1908, to Polish expatriate parents. 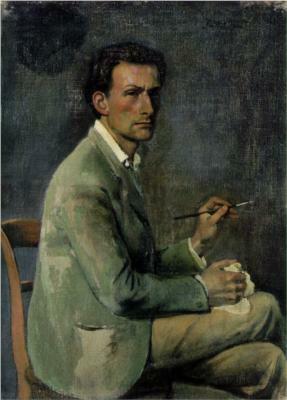 His given name was Balthasar Klossowski - his sobriquet "Balthus" was based on his childhood nickname, alternately spelled Baltus, Baltusz, Balthusz or Balthus. 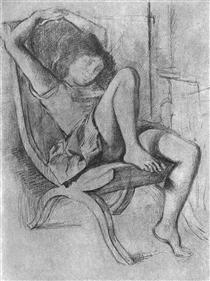 His father, Erich Klossowski, was an art historian who wrote a noted monograph on Honoré Daumier. Erich grew up in the town of Ragnit in East Prussia, now part of Russia but then in the German Empire. 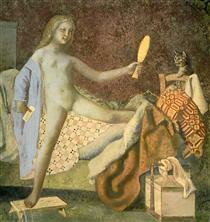 According to Balthus he belonged to the former Polish petty nobility (the drobna szlachta) and his family bore the Rola coat of arms. 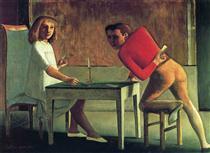 This largely undocumented family background would later be appropriated by Balthus when he decided to use the surname "Klossowski de Rola". (Had he lived in Poland, the arrangement of the name would have been Rola-Kłossowski or Kłossowski h. Rola). 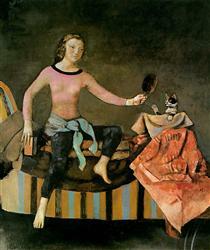 Balthus had the Rola arms embroidered onto many of his kimonos, in the style of a Japanese kamon. 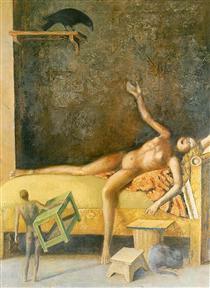 Balthus's mother Elisabeth Dorothée Spiro Klossowska (known as Baladine Klossowska) was descended from Russian Jews who had emigrated to East Prussia. 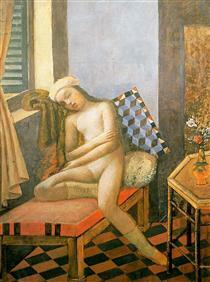 In the catalogue of the Metropolitan Museum of Art's 1984 Balthus exhibition, she was described as the daughter of a cantor from Kovelitz in Novgorod in the Russian Empire. 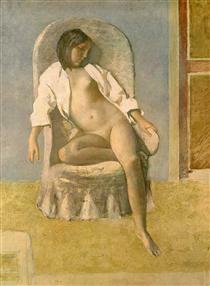 However, Balthus told his biographer Nicholas Fox Weber that this was erroneous, and that his mother came "apparently from a Protestant family in the south of France". 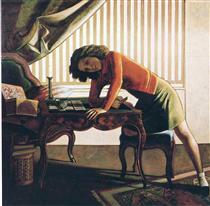 But according to Weber, this was a confabulation on Balthus's part. 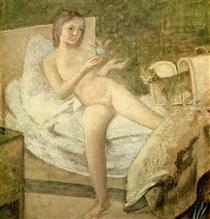 In fact, Balthus would often embroider upon his story of his mother's ancestry, saying that she was also related to the Romanovs and the Narischkins, powerful aristocratic families of Russia. In another confabulatory twist, Weber reports that Baladine's lover, the poet Rainer Maria Rilke, had said that the Spiros were descended from one of the richest families of Sephardic Jews, i.e. that they were of Spanish, not East-European origin. 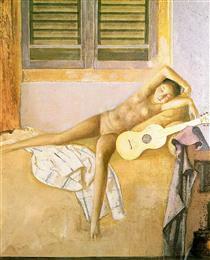 Weber doubted this story too, since Balthus's son Fumio, born in the late 1960s, had Tay-Sachs disease, a genetic disorder commonly associated with East-European Jews. 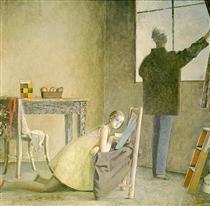 Balthus's older brother Pierre Klossowski (born 1905) later became a noted writer and philosopher. 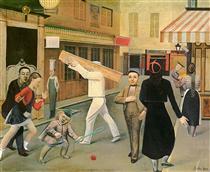 The Klossowski children grew up in an art-world environment, with frequent visits to their household by famous artists and writers, including Rilke, André Gide (who mentored Pierre), and Jean Cocteau (who would depict the family in scenes of his 1929 novel Les Enfants Terribles). 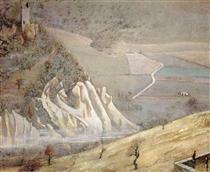 The artists Maurice Denis and Pierre Bonnard were also visitors, as was the art dealer Pierre Matisse. 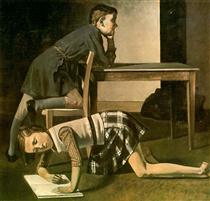 The children had a Scottish nanny, and Balthus would later say that his first language was English, although his parents spoke German to one another.